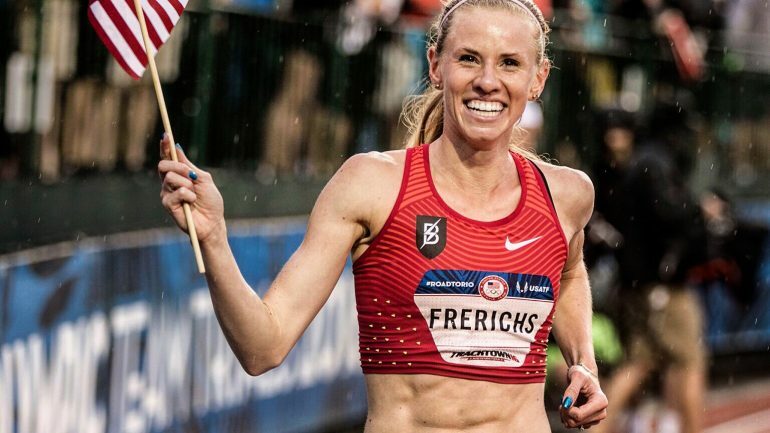 Carrie interviews Olympian Courtney Frerichs! Courtney discusses her new American record, training with the Bowerman Track Club, her relationship with her husband, and her future racing goals. Courtney grew up in Nixa, MO. She attended the University of Missouri-Kansas City for undergrad where she was a 5-time All American. She transferred to the University of New Mexico for graduate school and competed her fifth year of eligibility for the Lobos where she would lead the team to a NCAA Cross Country Championship title with a fourth place finish and win the NCAA title in the 3k steeplechaise in a collegiate record. She currently trains in Portland, OR with the Nike Bowerman Track Club, coach by Jerry Schumacher. She was a member of the 2016 Olympic team, silver medalist in the 3k steeplechase at the 2017 IAAF World Outdoor Championships, and holds the American Record in the 3k steeplechase.